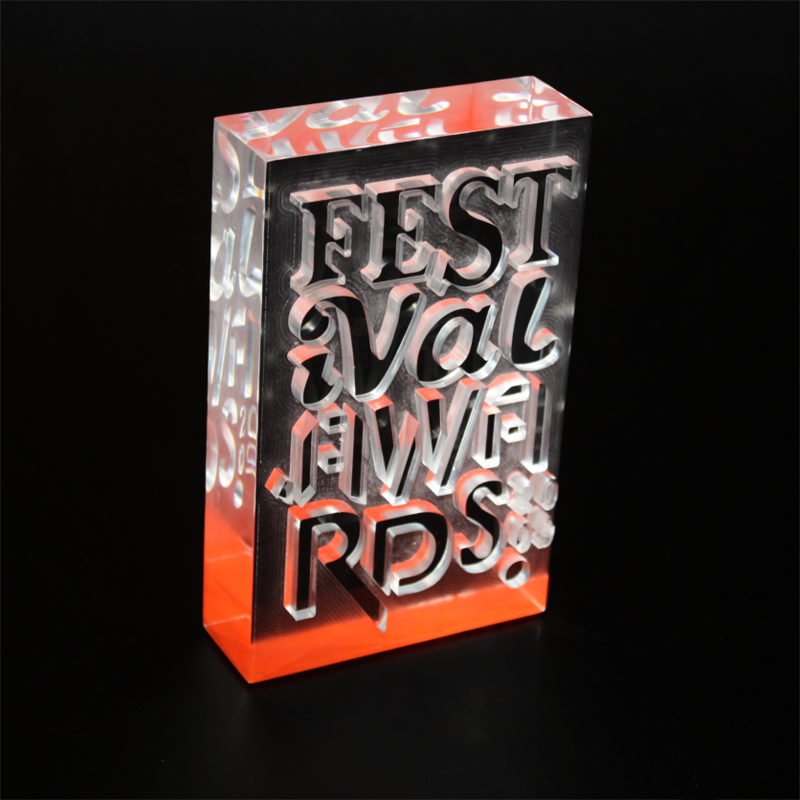 This intriguing award has been created from a solid block of clear acrylic. Using 3D CAD programming and technology, our talented graphic artists have created this amazing award. The 3D lettering has been created using machinery which has cut out the surrounding acrylic. To complete the award, the bottom face of the acrylic has been painted red.